Han and Qi’ra have grown up in a life of poverty and crime on Corellia, a world known for its distinctive starships. Part of Lady Proxima’s gang, these scrumrats earn their living through petty crime in the world’s seedy underbelly. When Han finally gets his hands on their means to escape, he makes it out, but Qi’ra doesn’t. Han immediately signs up for the Imperial Navy, his plan to become the greatest pilot in the galaxy, get his own ship and return for Qi’ra. Kicked out of the Navy, Han finds himself slogging through the mud of Mimban, where he meets Tobias Beckett and his gang of outlaws and decides he wants in on whatever job they’re planning. Thrown to a starving Wookiee for insubordination, Han can only rely on his charm to keep himself alive and become one of the most famous – and endearing – scoundrels in fiction. Let’s get this out of the way before I start talking about Mur Lafferty’s novelisation of the latest film in the Star Wars canon: I am, and have been for as long as I can remember, a Star Wars fan. Like many people of my generation, I grew up living, eating and sleeping Star Wars and I’m still that nerd that’s there at the cinema at one minute past midnight for every release. I enjoyed the prequels, even though I didn’t like them very much, and could never understand the mentality within the fandom that they were “wrong”, or that Rian Johnson’s (excellent, in my opinion) The Last Jedi wasn’t true to the world – sure, they may not be the stories we expected, or that we might have created given the chance, but that doesn’t make them any less valid, and surely “unexpected” is another way of saying “fresh” and “innovative”? Before I go off on a rant, I’ll say that I thoroughly enjoyed Ron Howard’s portrayal of the early years of one of Star Wars’ most iconic characters, Han Solo, and was delighted to dive in to the novelisation when it arrived to coincide with the film’s home video release. Han Solo’s backstory has always been shrouded in mystery and ripe for exploration: how did he meet Chewbacca? How did he meet Lando Calrissian and subsequently win the Millennium Falcon from him? 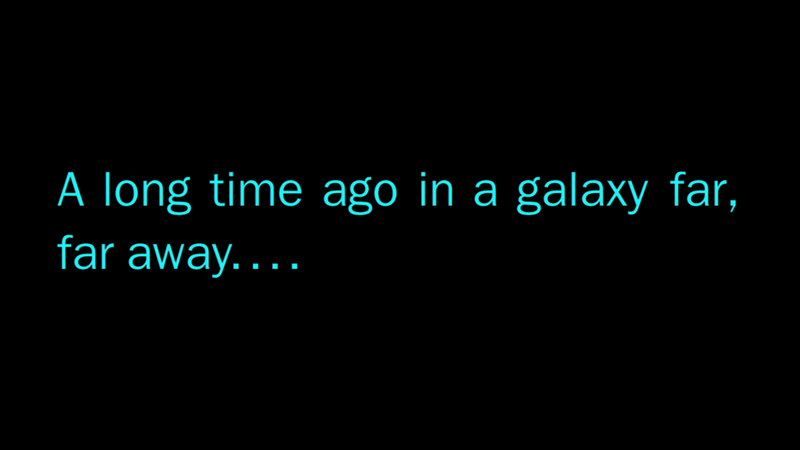 What is the Kessel Run, and just how fast is 12 parsecs? And why does he end up as an ornament on the wall of Jabba the Hutt’s Tatooine palace? Solo: A Star Wars Story goes some way towards answering many of these questions, with Alden Ehrenreich doing an admirable job channelling Harrison Ford throughout. But there’s only so much the film can portray, and that’s where Mur Lafferty’s excellent novelisation – the “Expanded Edition”, no less – comes in. Lafferty does a commendable job capturing the essence of the galaxy’s most famous smuggler on paper. Non-stop action from the outset gives the book a very cinematic feel while the extra scenes enhance the reader’s experience without sacrificing any of the pace or attitude of the film. Han’s story mirrors that of Luke Skywalker in some ways: the desire to travel the galaxy as a pilot; the older mentor without whom Han’s life would have looked very different. Despite his reputation in later life, it’s easy to see that Han is a good man, a man who will do the right thing regardless of the outcome, and no matter how hard he denies it. 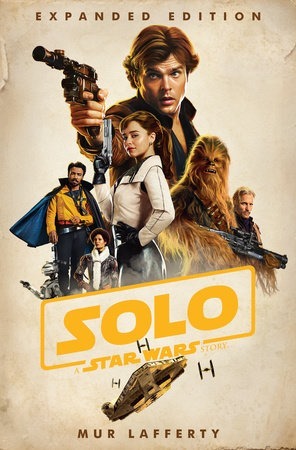 While the movie answers some of the critical questions – the first encounter with suave cape-loving Lando Calrissian; the first encounter with lifelong friend Chewbacca; where Han got his name, and many others – the book provides deeper insight into some areas, little Easter Eggs designed to give long-time fans that little frisson of excitement: the origin story of the scar on the chin (a star in its own right, with a separate origin story in the Indiana Jones universe); Han’s promise to Chewbacca as they’re infiltrating the spice mines of Kessel that this will be the last time he’ll ever have to wear cuffs; and a passing reference to the Black Spire Outpost, which fans will soon be able to visit through the Disney Parks’ Galaxy’s Edge late next year. Lafferty also spends some time looking at Han’s time in the Imperial Navy – a vital element missing from the film, which gives some insight into how Han becomes the excellent pilot he has always claimed to be – and at the background of Enfys Nest and the Cloud-Riders, who form the core of the group that will eventually become the Rebellion. Beautifully packaged and including a glossy photo section in the middle (oh, the nostalgia for the novelisations of my youth), Mur Lafferty’s Solo answers many of the questions left unanswered by the film and acts as an unmissable companion piece. Mur Lafferty’s ability to capture the reader’s attention, and to make larger-than-life legends such as Han Solo and Lando Calrissian pop off the page make her an instant “must-read” author – I, for one, will be tracking down her backlist.